Welcome to Z Content. a provider of programming and consulting expertise in web based Content Management Systems (CMS). Web and template design, site setup and php custom programming are some of the services we provide. Zap Audit analyzes a Joomla! website, searching for hard to find hacked files. This allows delaying or even eliminating the need to rebuild a Joomla website after an attack. A detailed audit is generated, including a check for Joomla! best practices. 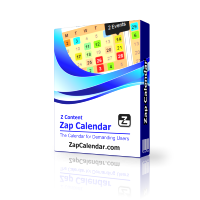 Zap Calendar is a full featured, native Joomla calendar system for displaying, managing and downloading calendars and events. There are dozens of add-ons available for Zap Calendar to add additional features, including mapping, commenting, weather and a whole lot more. Check out the demo at ZapCalendar.com for a live demonstration of the product. 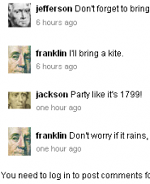 You can also see a demo of Zap Calendar at AmericanHistoryCalendar.com. Sign Me Up! is a sign-up tool for your events. Invite users to visit your event page to sign-up for items, send them e-mail reminders and thank-yous, sell items, and download the sign-ups to Excel or a CSV file for reports. Sign Me Up! is built on Zap Calendar and is fully compatible with dozens of add-ons already available. Sign Me Up! is used with either the Basic, Standard or Pro versions of Zap Calendar. Zap Audit Lite gives you peace of mind knowing your site is free from hidden hacked files. A summary audit is generated, including a check for Joomla! best practices (see Zap Audit for detailed audit). Zap Calendar Lite is the free version of Zap Calendar. For those that need a native Joomla Calendar but do not have the budget to purchase one of the Zap Calendar subscriptions, Zap Calendar Lite is the perfect choice. This version provides a calendar system for Joomla with several add-ons and iCalendar support, and can easily be upgraded to a subscription if additional functionality or support is needed at a later time. Zap Weather is a free component and module for displaying U.S.A. weather using NOAA weather data. Display current weather conditions, forecasts and weather alerts with this component. Zap Weather can also be used with our calendar product, Zap Calendar.